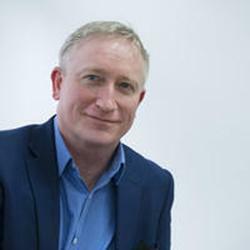 Data centre cooling specialist Stulz, announced the appointment of Brendan Leonard as Managing Director. Brendan brings extensive technical and commercial knowledge of the Air Conditioning and Data Centre Industry, most recently as commercial director at Stulz UK Ltd.
As Stulz embarks on a new growth phase, Brendan’s in-depth knowledge of the data centre industry sales and services provision to enterprise and SME customers will be of key strategic value. Working with the senior management team of Stulz GmbH in Hamburg, he will forefront the company’s strategy for securing further contracts as well as developing initiatives for enhancing overall customer engagement in the UK. He further extends his thanks on behalf of the Stulz team to the outgoing Managing Director Chris Webber for all of his contributions to Stulz over his many years as Sales and Managing Director.